The Magic of Mindset goes back to the basics on developing and maintaining a magical state of mind despite obstacles, setbacks, or traumatic events. 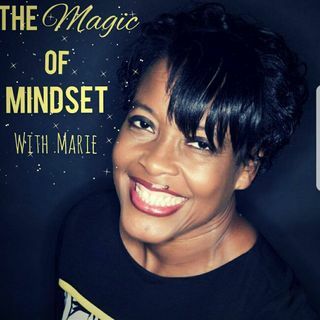 As a bestselling author, national speaker and sibling survivor of domestic abuse, Marie is the self-proclaimed poster child for moving mental mountains. The magic is in the mindset. This podcast will provide a medley of simple, yet effective personal development strategies we can incorporate into our daily lives with minimal effort. It will ... See More include in depth conversations with those who have tapped into this magic and experienced massive transformation in all areas. You don’t want to miss it.